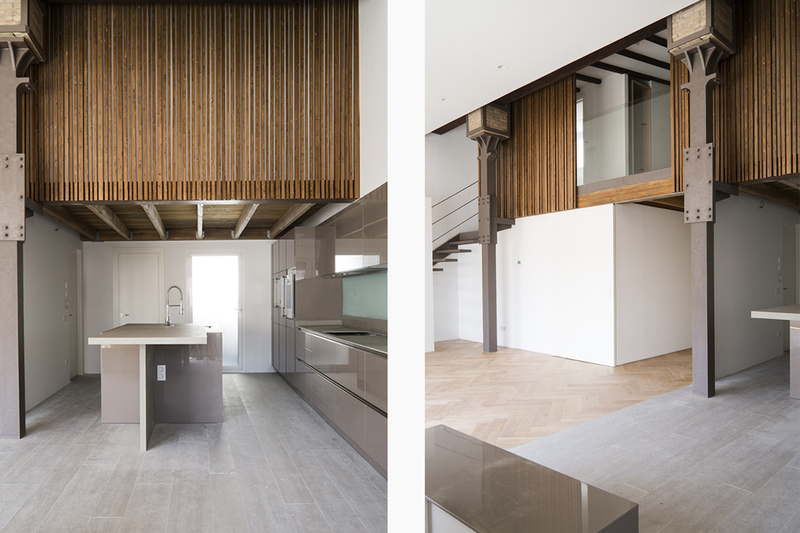 Mar House is a penthouse located in an old building in the historical centre of Valencia and begins its story with very generous precedents. 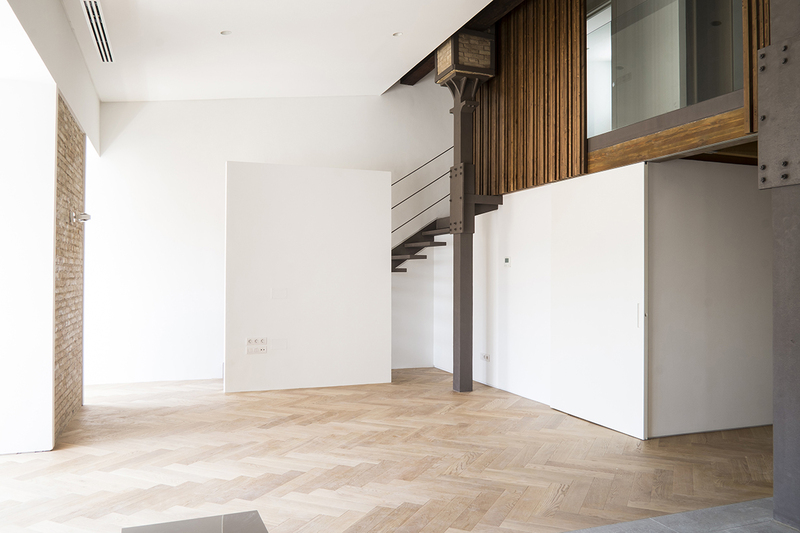 The high ceilings, the delicate and beautiful woodwork, the interior patios and the attic are the key elements to undertake this project. 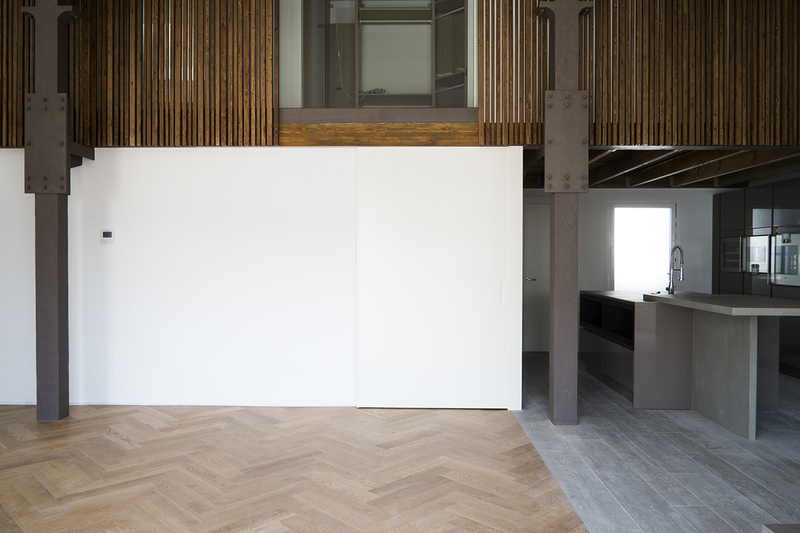 The main room is dressed with elements that arise from the history of the building such as the sloping roof, the wooden windows, the metal structure and the brick. 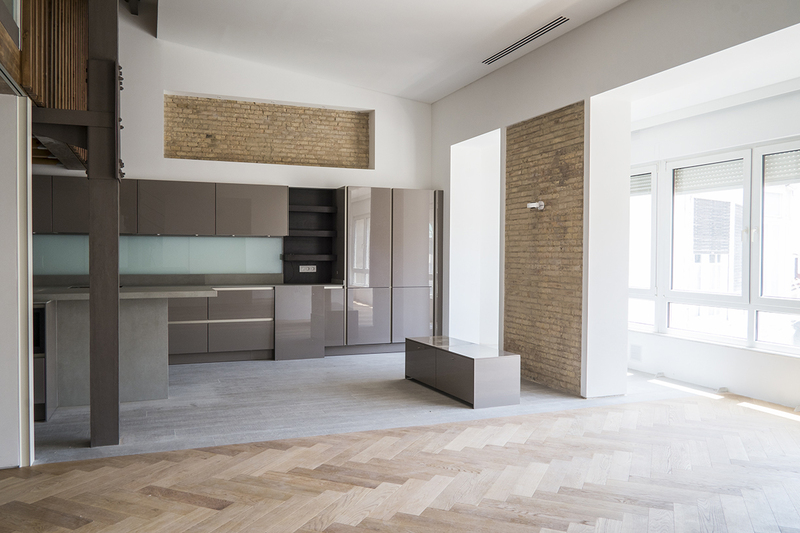 But the existing story is based on an innovative dialogue with dynamic and creative expressions such as the parquet with herringbone installation and the cantilever that rests in the structure. The spaces of the house are designed to get a cozy, cheerful, simple and pleasant living. Sophisticated white doors appear spontaneously and lead to the bedrooms. The artificial light join the longitudinal corridor until a beautiful breeze of natural light appears in the background. Suddenly the hallway breaks and expands into an open, lighted and flexible space. This atmosphere that surprises us at the end of the walkway seeks out the exterior light, calm and rest. In turn arranges an open kitchen, a living room and a staircase leading to the master bedroom in the attic. 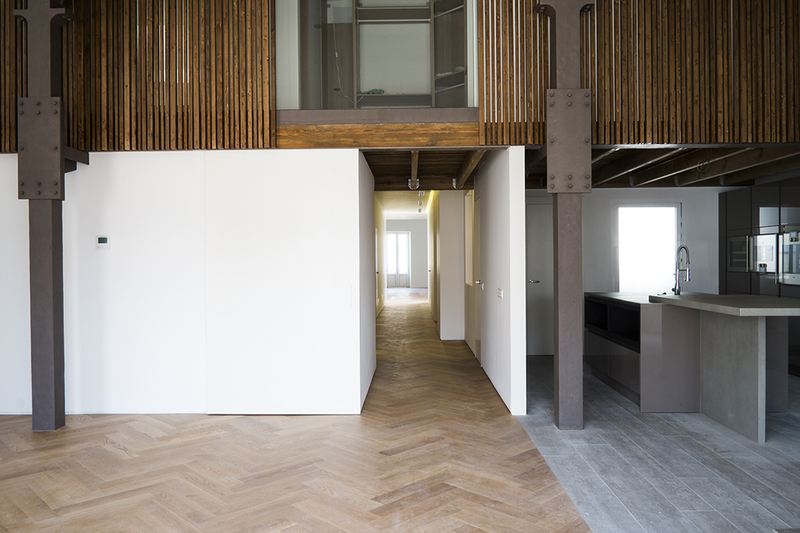 The bedroom is hidden in a wooden box that flies over the double height. The wood planks have different sizes, facilitate permeability and promote an energic and creative setting. These three atmospheres are separated with the delicacy and ingenuity of the materials that rest under the light.